There is a modern school of thought that says you don’t need to map out your work items in order to get things done. Just deliver what you think needs delivering within your own timescales without due care to budgetary constraints. Baffle project owners with complex work items and intricate excuses for not producing required outputs, develop super high level visions of what you think should be delivered and that no one external to your huddle can understand. When asked about status updates, inform the requestor that your area of work is not ruled by ordinary governance and that each stage of development may mature at different rates so it would be difficult to pin down exact statuses. 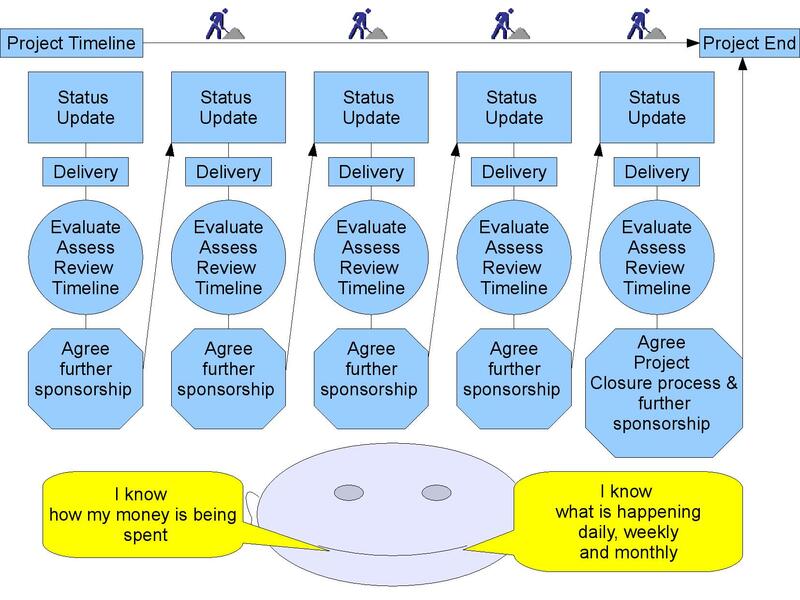 There is another school of thought which follows the line of setting out the scope of the project, developing and maintaining plans to track progress, providing status and budgetary updates for the project owner, an open and transparent work ethic keeping all stakeholders informed of developments in clear understandable language. Two chains of thought which on paper and in practice cannot mesh successfully. If I gave £3 million to a project, I think I would want to know there were structures in place to inform me how and at each stage what the status of development was and when I would be likely to see delivery and return on my investment. When I booked a builder to repair my roof and paint the front outside windows I became his sponsor in effect and he would only get paid if his work was finished on time and to the agreed standard. Both myself and the builder knew that the project had a start and end, we also took the opportunity to establish two way communications to make sure I was happy with their current work and if they were content with my requests. During our regular status updates(chats) we evaluated the timeline and as luck would have it he was going to finish ahead of schedule. Seeing as his van driver was not returning until the evening, he offered his services inclusive of the agreed initial price. I mentioned my further requirements of painting the back windows and cleaning out the guttering, he assessed how long it would take him and we reached agreement that this would keep him busy until his driver arrived. 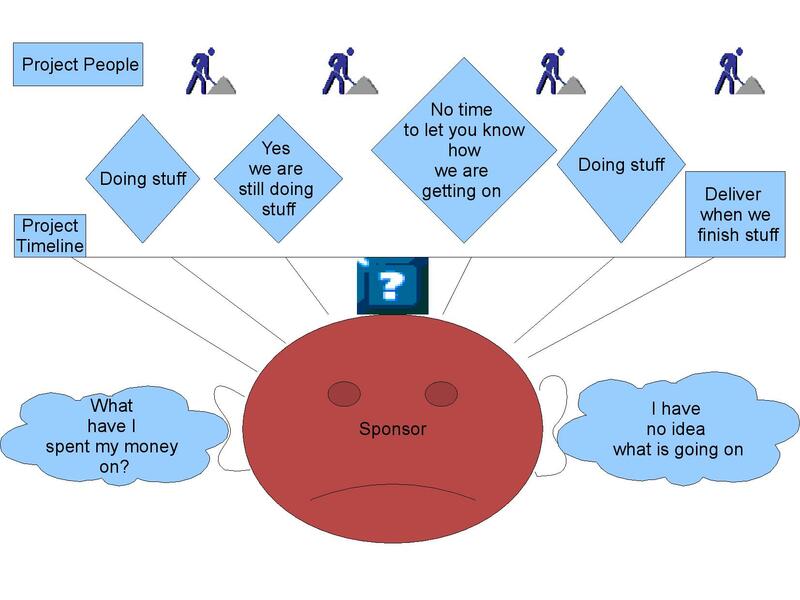 I truly believe masses of resource time and money could be saved by keeping project people close to the scope requirements and communication needs of the sponsor or is it an impossible ask? ← Do you believe in wishes?